This excellent two bedroom first floor apartment is located in a development just off Stockmans Lane, South Belfast. With easy access to the M1, the apartment is convenient for commuters to both Belfast and Lisburn City centres. Comprising of an entrance hall, open plan lounge, fitted kitchen and dining area, two good sized bedrooms, master en-suite and white bathroom suite. 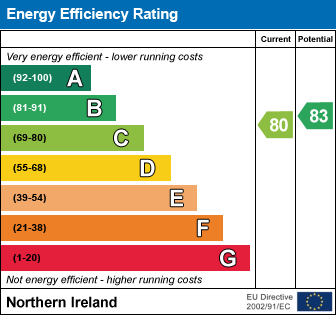 Also benefiting from uPVC double glazing, gas fired central heating and allocated car parking. Ideally suited to wide range of potential tenants and we strongly advise on prompt viewing. Check out the property I found on PropertyPal.com: 6A Musgrave Manor, Stockmans Way, Belfast BT9 7GG.